I hope you will join me in welcoming New South Collective to the block! Go visit them on First Friday, April 6th and check out their art exhibition “Lonely Black Glove”. We’re a new way of thinking of creative co-ops. We’re not just a group of artists, or writers, or circus clowns. We’re an eclectic group of individuals and businesses that specialize in everything from design, to publishing, to writing, photography and even flowers. Yes. Flowers. We can do pretty close to anything. We’re the cutting edge of creativity and style…we’re the New South Collective. Check out Jennie Andrews Photography on First Friday, April 6th! *CLINCH AVE—from Henley St to 11th st. Road closed signs and barricades both ends. *VOLUNTEER BLVD EAST @ Joe Johnson .—Road closure for east bound lanes, marathon and 5k will be using. *LAKE LOUDON BLVD—Cones down the double yellow from Chamique Holdsclaw to Neyland. ( runners will be using both south bound lanes. * CUMBERLAND AV—Right east bound lane coned from Volunteer Blvd East / Sixteenth St to Estabrook for runners to utilize in the 5K. *NEYLAND DR—cones spaced out along double yellow line from Kingston Pike to RR bridge where Neyland Dr splits (runners will run in the East Bound lanes) Police will block ramps from 129. Police will block Neyland Drive in the East Bound Lanes From Kingston Pk. *KINGSTON PK—-cones are needed from Neyland to Cherokee Blvd/ West bound lanes will be split for 2-way traffic and East bound lanes are for the runners. *KINGSTON PK—right lane closed on W/B Kingston Pike from Noelton to Forest Park, lane closure signs and cones down white line from Noelton to Forest park. *FOREST PARK—right lane N/B closed from Kingston Pk to Newcom. Cones down double yellow line from Kingston Pk to Newcom. *LEBANON—Road-closed sign at Sutherland Ave, road signs at Chambliss and Lebanon (runners have both out and back on Lebanon. Track club or someone might want cones down center of Lebanon since runners are out and back. *CUMBERLAND AVE—right W/B curb lane of Cumberland Ave from 21st to Tyson Park needs to be closed with road closed signs and cones from 21st to Tyson Park. *21st ST—close all of 21st St with needed signs and barricades at cross streets from Forest Ave to Cumberland Ave.
*FOREST AVE—close Forest from 17th St to 21st St with needed signs and barricades at cross streets. Continue closure from 17th east to 13th. *11th ST.—N/B lanes of 11th St from Cumberland to WFP Dr. cones down double yellow line. *BROADWAY—right lane closed from WFP to Central Ave, cones and closure for the right N/B lane with cones on white line the entire distance. *CENTRAL AVE—N/B right lane coned from 5th Ave to 4th Ave closed. *** 5th AVE—West bound lane coned from Hall of Fame to Central. About 8 feet in width from curb line. * WASHINGTON AVE—East bound parking lane coned from Winona to Bertrand. 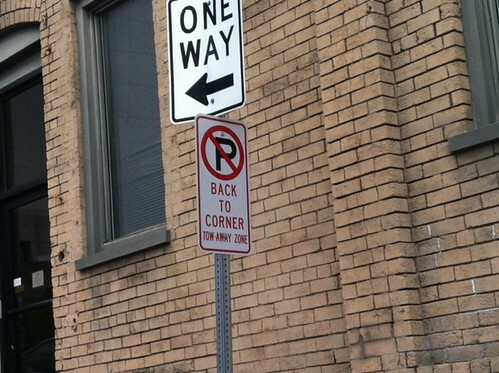 ( Runners will be running in parking lane behind cones. *BERTRAND—From Washington Av to McCalla, cones down right side of S/B lane about 6 feet from curb. *JACKSON AVE—East Bound lane from Patton to Central cones approx 6-8 ft off curb to give runners a lane (runners in E/B lanes behind the cones). *CENTRAL AVE—S/B lane from Jackson Ave to Cumberland at S. Central, lane closure signs and cones spaced out from Jackson to Cumberland. *JWP—cones spread out along the emergency lane from Hill Ave to Sevier Ave on S/B emergency lane continuing around exit ramp to Sevier Ave.
*SEVIER AVE—right lane closed from JWP to Island Home Ave with cones continued approx 8 feet from curb on Sevier Ave.
*ISLAND HOME AVE—complete closure from Sevier to Maplewood. W/B traffic will force to detour onto Hillwood Dr. Need signs at cross roads along with cones down center yellow line to Maplewood from Sevier Ave. Also “road closed ahead” for W/B Island Home Ave at Hillwood Dr.
*GAY ST.—from Hill Ave to Wall, pull all parking, if any, on N/B side of Gay St and close lane also space cones out along right lane. *CLINCH AVE—close and cone approx 6-8 feet from S/B curb of Clinch between Henley and Locust. Will start at the Clinch Ave. Bridge, west on Clinch, turn right onto World’s Fair Park Drive, left onto 11th St, across Cumberland Ave, where 11th becomes Estabrook Rd they will follow Estabrook toward Neyland Stadium. 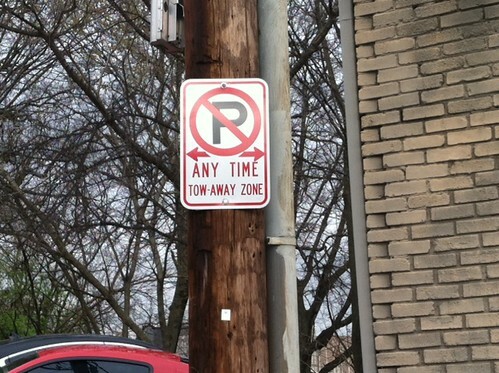 New No Parking signs are up on Vine Ave. Please pay attention to them and do not park illegally. The police will be out ticketing and towing. If you are looking for a place to park, please consider Jackson Avenue lots on the corner of Gay Street and Jackson Avenue. And check out the city’s discounted monthly parking rates for great deals. With proof of residency, such as a lease, a 100 Block resident will only pay $20 a month for parking there. It has to be better than paying off a handful of parking tickets every month, right? Mardi Growl – Highlights from Community Television Knoxville on Vimeo. There are some great shots of the parade on the 100 Block! 100 Block is a great place to “eat, play, live”! The 100 Block has been honored by Eat, Play, Live Knoxville as one of the best neighborhoods to do just that – eat, play, and live. As part of their “unconference” coming up this weekend, they will be installing signs on the block that describe some of the features that make our block a great place to walk, bicycle, and hang out. Look for the signs to be installed on fixtures such as light poles, benches, and bike racks. They will be removed on Sunday or Monday. If you have any questions or comments about the signs, please contact Ellen Zavisca, or call (865) 215-4014. Start & finish on Howard Baker Dr., route goes around the block onto Honor Our Troops Drive to Hall of Fame Dr. back to Howard Baker Dr.
Race begins at 8:30pm and will go from Wall Ave down Gay St. back to Wall Ave. Gay St. from Cumberland Ave to Summit Hill Dr.
Market St. from Church to Union Ave.
10K and 5K start on Howard baker Jr turning left onto Hall of Fame then right on East Hill. Both routes head over Gay St Bridge and follow Sevier Ave. 10 K route runs to Island Home while 5K route heads up Anita and onto James White Parkway back to Hill and finishing on Howard Baker. 10K returns to Sevier and follows Anita to James White Parkway back to Hill finishing on Howard Baker Jr.
Hey guys! Go check out the Event Calendar I am working on. If you have an event on the 100 Block that you want to share with people, please email me and I’ll put it on the calendar. There are a few events on there already. Go check them out and see what excitement we have coming up in the near future.